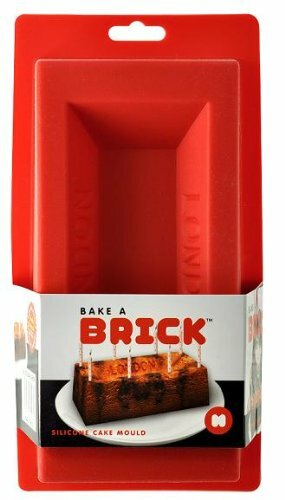 Bake a Brick Cake Mold « Gluttoner: You gonna eat that? Your cakes taste like bricks anyway, so why not make them into the shape of a brick? You can with the Bake a Brick silicone cake mold. Gingerbread house? Nah, how lame. How about a full scale house of cake?! Or a cake wall? It all starts with one brick. Thanks for sharing this, its awesome.